Marc Faber: 100% probability. We are in a lengthy expansion already, far above the average expansion in the 20th century. We have a lot of imbalances, in my view a recession is inevitable. But unlike central banks, I do not regard a recession as negative. It's like the human body, an economy also needs a resting period occasionally to adjust. A recession is not something that has to be avoided at all costs. Marc Faber: 80%. Economically, the EU would probably will break up. But it's also a political issue as there may be lot of political obstacles to complete a split from the EU. Whether they can really split from the EU is not entirely clear.Some countries like Austria or France would like to split from the EU, but if they could do it in practice is not entirely clear to me. Marc Faber: I think 60% probability but I hate to put in a price. My projection is that it will go up against the loss of the purchasing power of paper money. If someone says to me I dont trust the markets anymore I want to be 100% in cash. I'd tell him which cash and how do you keep your cash. In a bank deposit ? You know there is a risk the bank could go bankrupt. So for someone to be 100% in cash is very risky. Marc Faber: 20%. I dont assign a high probability because unlike other people, I'm not that bullish about the U.S. dollar. I don't see anything much great about the U.S. economy. On the contrary, China is still a competitive country even if wages have gone up substantially. I don't see a necessity for China to devalue. 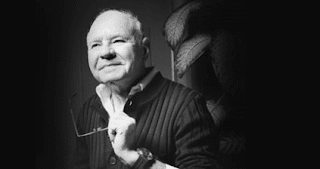 Marc Faber: Under Hillary Clinton, 80%. Under Donald Trump the probability of World War III is low... 20%. The neocons led by the Bush family are pro-Hillary, because they know they can manipulate her, they have made a deal with her, in which she does her social agenda in the U.S. while the neocons take over foreign policy. As such, the people in Asia are more likely to become harsher towards China. In Ukraine, for example, if Hillary's administration starts a conflict there, the Chinese will react because China now has the power. Nowadays, an aircraft carrier is a sitting duck ready to be shot down. A: Even if people can live on Mars, I don't think there will be an economy any time soon. Maybe some people will go on a holiday there, I dont know. The cost of travelling there will be very high. We already have large deficits but no deficit is large enough for the interventionist, so they will boost fiscal spending. 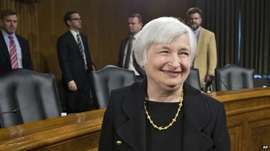 They will finance deficits by issuing government debt, which the central banks will monetize. 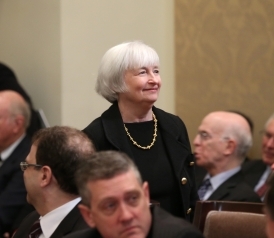 The Treasury will issue debt, and then the Fed will buy all these debts. Of course, that will not end well, but it will postpone the problem for a while. How long could money printing go on ? The developed market central banks can go on for quite some time. If Zimbabwe prints money, the pain is more obvious right away because if you are Zimbabwe, and you print money and the others don’t, and the currency collapses, and you feel the pain much sooner. 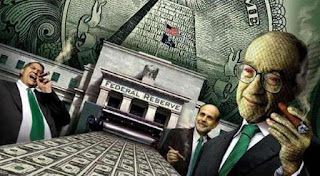 If the major central banks, the Fed, the European Central Bank, the BOJ, the Bank of England, and the Chinese monetize and print money in concert and agreement with each other, they all talk to each other; then the currencies don’t collapse against each other. There may be fluctuations, but we don’t have a general collapse of a currency. Paper money, in general, can then collapse, and it has to a large extent against asset prices like real estate around the world over the last 30 years, against equity prices, against bond prices—which have been rallying since 1981—and against precious metals since 1999. Asset price inflation is less obvious to the average person in the street. The average American has no money, so he doesn’t care if prices for paintings and real estate go up—until it touches him. It’s nonsense to claim that inflation is only going up 1 percent per year in the United States. The cost of living of a typical family is going up much more than that—insurance, transportation, schooling are all going up. For example, health care premiums for insurance policies [have risen], so the typical household is being squeezed. The central banks don’t care about that; they don’t look at it. Worldwide, most asset prices are grossly inflated. An asset class that became inexpensive at the end of last year was precious metals - gold, silver and platinum. While they have rallied nearly 100% since then, I think they are still reasonably attractive. If I compare their prices to stocks and real estate, I think the precious metals is where I still find value. They are exceptions to the rule that asset prices are grossly inflated. But if we were to talk about asset price inflation in general, everything will go down in value - be it bonds, equities and collectibles. But precious metals will fall less than equities. The bubble can last a long time, one just needs to increase the size of money printing continuously. As a result, asset prices - stocks and real estate - go up phenomenally. So in essence, we have a bull market across asset classes. However, the value of paper money depreciates, as it has done for the last 30 years. Whatever the central banks do now, asset prices will depreciate against precious metals - gold, silver and platinum. I think that most sovereign wealth funds will have significantly lower inflow in the next few years, than they had between 2007 and 2014, when their assets essentially doubled from around $3 trillion to over $7 trillion. But, I don’t believe there will be a huge selling pressure from sovereign funds.